Seattle is young, vibrant and modern looking city. It boasts the second tallest building west of the Mississippi. It is a city of coffee shops (not just Starbucks! ), twenty and thirty “somethings”, parks, an intimate relationship with water, and mountaineering & high tech companies. Due to its proximity to the Olympic Peninsula, Cascade Mountains and Puget sound, Seattle is really a city that loves to be outdoors. There are many outdoor destinations all within a days drive of downtown. Seattle sits at the edge of the beautiful Puget Sound while behind the skyline in the distance rise the prominent Cascade Mountain range peaks of Mt. Rainier and Mt. Baker. Seattle is really the Mountaineering capital for the western USA. The Mountaineers, the North West’s premier mountaineering and outdoor organization was formed in 1906. Many outdoor companies such as REI, Outdoor Research, Cascade Designs, Mountain Safety Research (MSR), and Feathered Friends among others started here. In addition to being the city where prominent outdoor companies got their start, Seattle is also where household name companies started such as Microsoft, Costco, Nordstrom and Starbucks and this amazing city is also home to other well known companies including Boeing and Amazon. 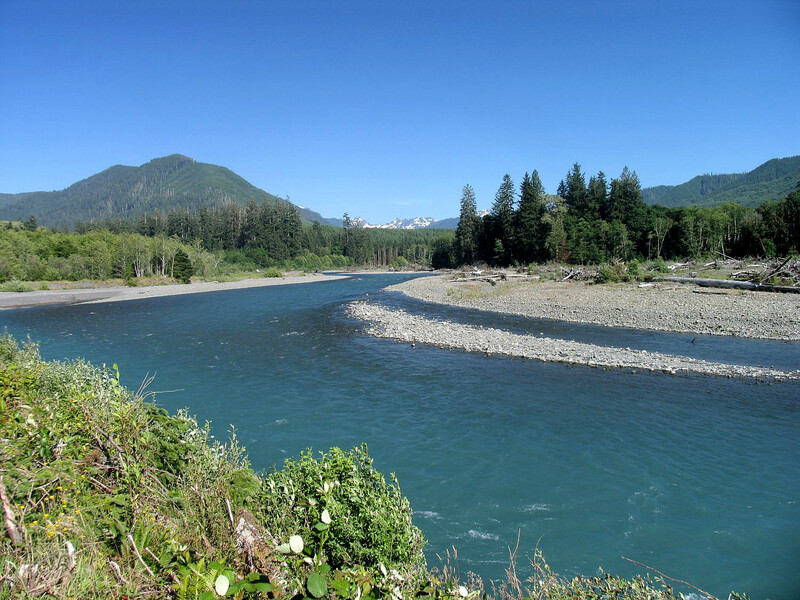 With the exception of the Olympic Peninsula all the other attractions listed below can be comfortably seen in 3-4 days. 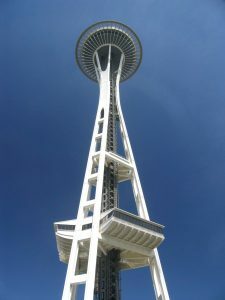 This is not an exhaustive travel guide to Seattle – these are only the attractions that Dave visited during his multiple trips to Seattle. All attractions below are listed alphabetically. Ballard Locks – the Hiram M. Chittenden Locks are located in Ballard, Seattle and are a unique system of engineering which allows boats to move from between saltwater of the Puget Sound and the fresh water of the canal which connects to Lake Union and Lake Washington. These locks are in operation for boats 24/7 and when you visit, if there is boat traffic coming through you will see the dock-men anchored to steel lines so they won’t fall into the canal as they help guide the boats. 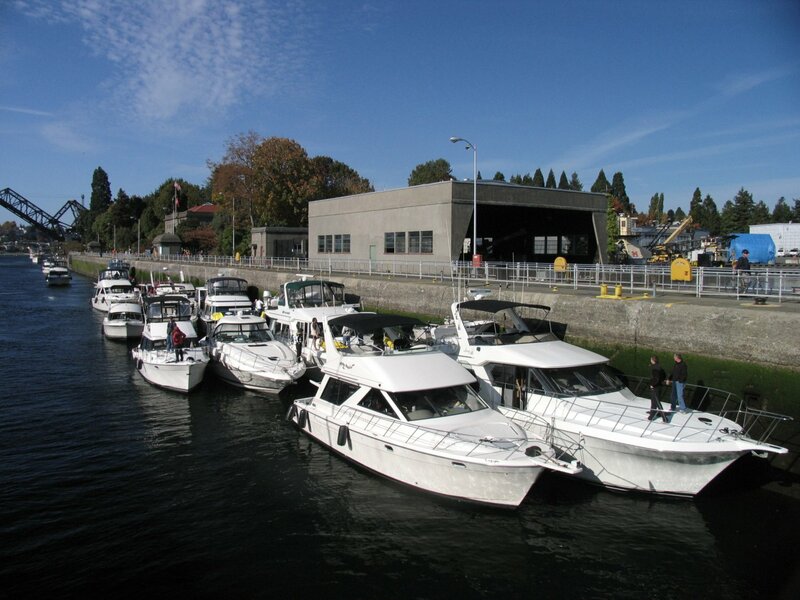 Steel gates/bridges are part of each lock and open and close as necessary to raise or lower the water levels, so the boats can reach their destination. 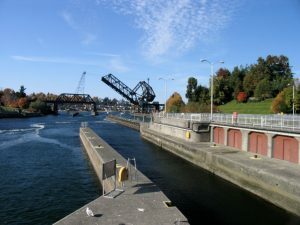 These bridges can be easily crossed when not in use – bells will ring to indicate that the bridge will open and at this point you should leave the bridge and move to the concrete dividers that are located between each of the locks. You can cross the entire canal by foot to the other side where you will find the fish ladder viewing station. You enter the concrete building and look through the thick windows into the side of the canal. During the spawning season, the windows will be entirely covered by huge fish swimming up river through the fish ladder. The best viewing times are of course during the height of spawning season – usually in September and early October – we’ve been here during late October and there are a few fish but certainly not the amounts you find during peak season. 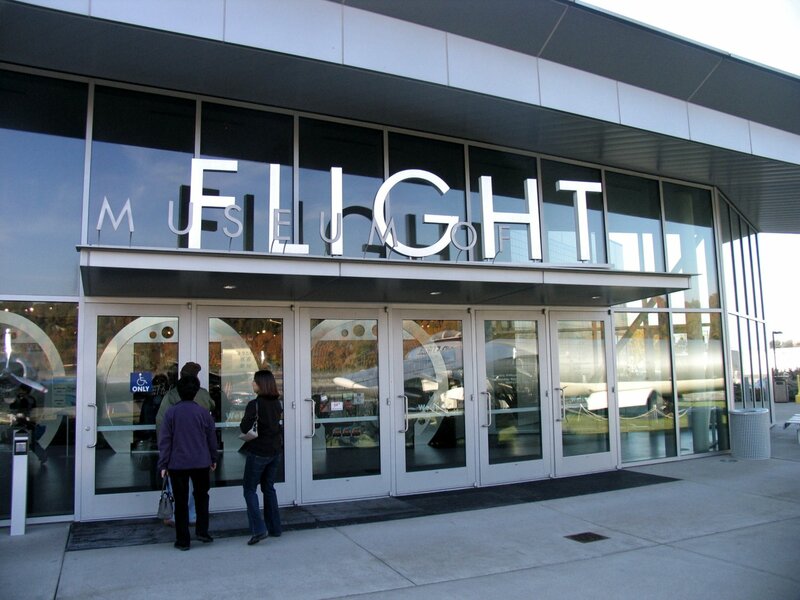 Future of Flight Aviation Center (Boeing) – this major attraction is actually located about 30 minutes north of Seattle in the town of Everett next to Paine Field. This Boeing museum is dedicated to all things flight related. The main large gallery contains several huge engines, parts of planes including a huge fin from a 747, special exhibits and video presentations. You can choose to just pay the normal admission price which grants you access to the main museum, but the tour is really the highlight of a visit here. You will be driven around Paine Field to look at some of the large airplanes and then visit the inside of the facilities. Boeing’s main building is the largest building in the world by volume. This building will absolutely dwarf the parking lot full of cars. 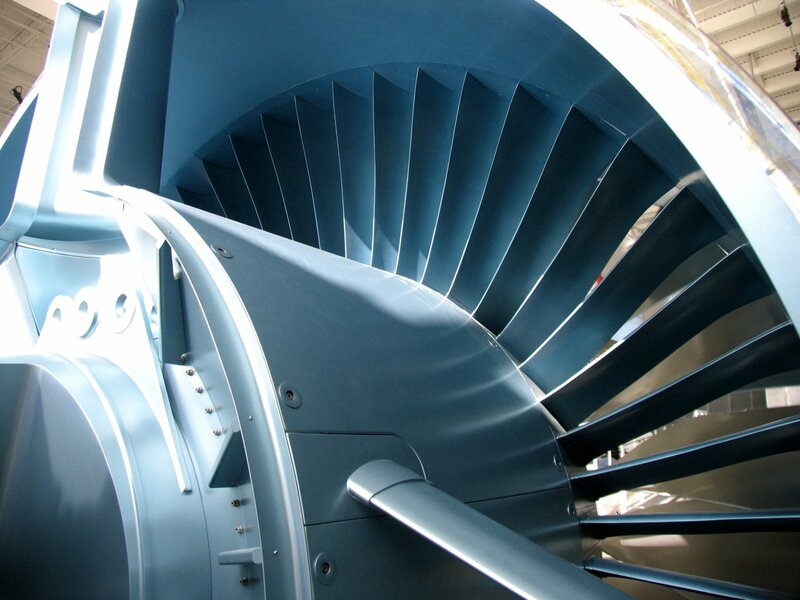 Huge planes are built inside – all the parts are gathered, many of them shipped in from over seas, and then the planes are assembled at an amazing speed, typically in just several days. You will be able to watch this construction taking place on the ground floor from above. Seattle has two International airports and Paine Field while not technically in Seattle is a 3rd International airport in the vicinity. The reason is, this is Boeing’s “delivery” airport in which pilots worldwide fly here to pick up their new planes. As a result, you will often see airlines from around the world parked at the airport. 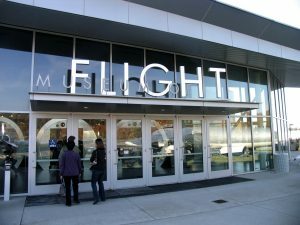 The “flight shop” is worth a stop – you can find some good sales on occasion. There are lots of Boeing clothing and other schwag available and sometimes authors will be on site signing their books. On a clear day be sure to visit the “flight deck” for great views of Paine Field, Mt. Rainier to the south and Mt. Baker to the north which is relatively close to the Canadian border. Need food – a cafe is on site. Look for lots of area visitor brochures near the main counter. 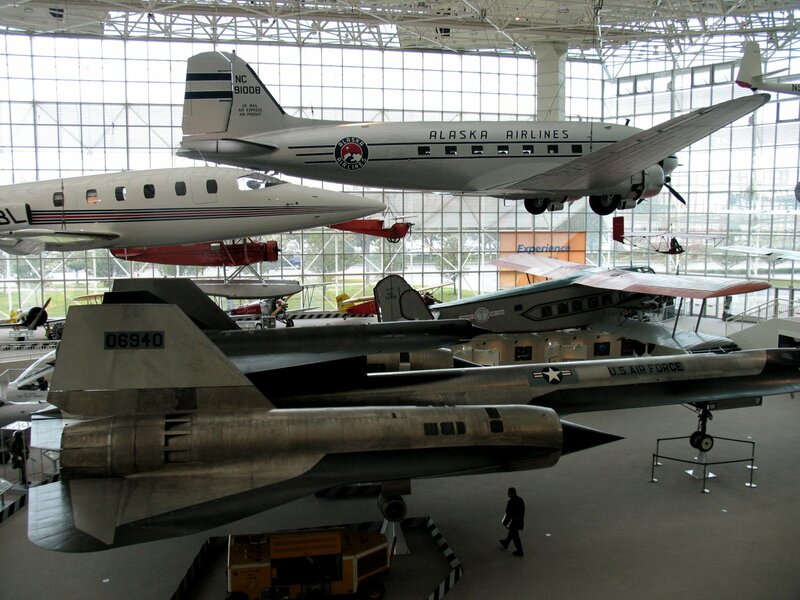 Museum of Flight – An entire day, or at least most of the day needs to be reserved for a visit here. This is a huge museum that spans several buildings and when you are displaying large aircraft invariably you have to spill the exhibits outdoors. The museum is located at 9404 E. Marginal Way South, right next to the King County International Airport about 8 miles south of Seattle. The museum is separated into exhibits. One of the real highlights is the spacecraft exhibition which contains moon rocks, tons of photos, interactive displays, a huge video screen showing the space station, and an actual replica of one of the rooms in the Space Station. We ended up spending about 2.5 hours just in this one exhibit! Docents are on hand to help answer any of your flight and space related questions. Real historical space craft are also on display and the collection keeps growing. The main part of the museum (called the Great Gallery) is a huge room that contains a variety of aircraft including the neat car-plane combination as well as fighter jets and other historical airplanes. 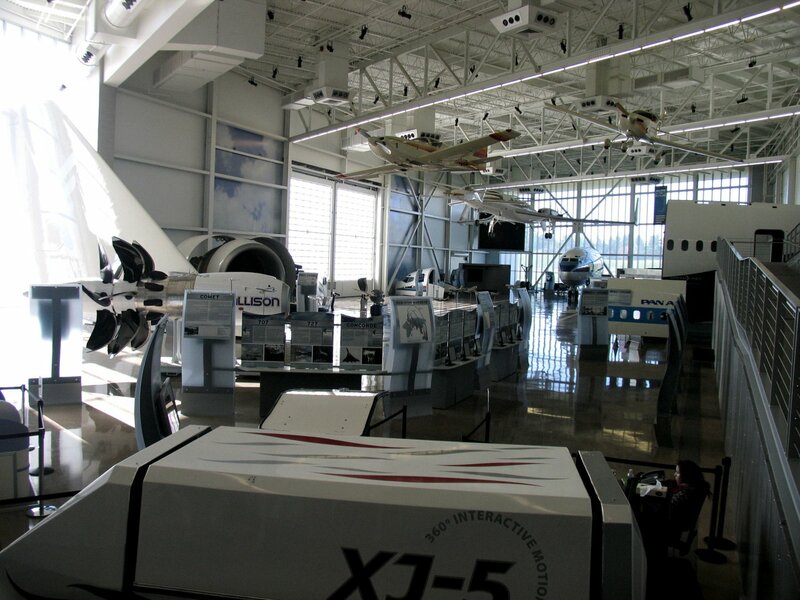 The use of flight simulators that actually move are available for an additional fee. 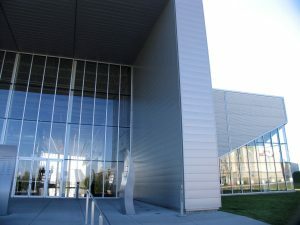 The older red building contains two levels that mostly outline Boeing’s history (Boeing donated land for the museum). Another neat piece of trivia is this red “barn” was Boeing’s original manufacturing plant. 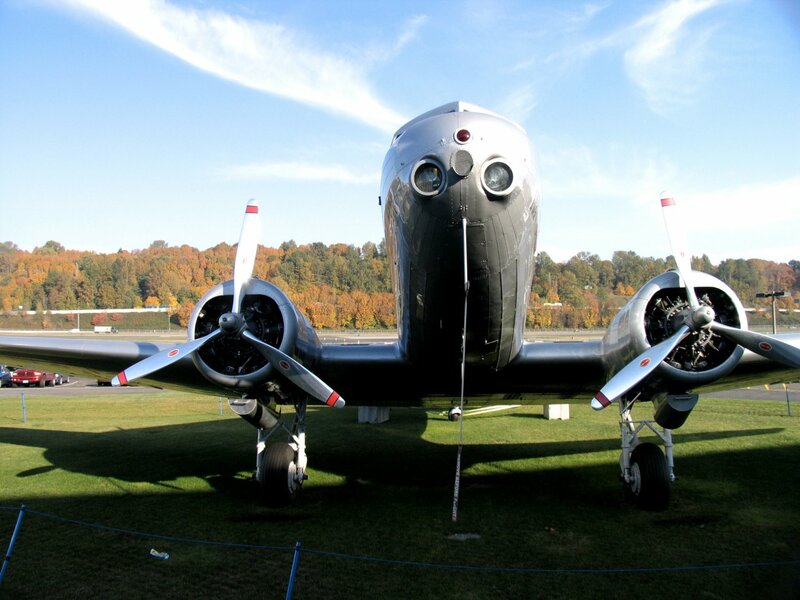 Another huge part of the museum is the large building that contains two levels; one level is entirely devoted to World War I era planes and flight related items and the other level is all about World War II aircraft. Be sure to visit the outside exhibits. You cross the nice glass steel bridge containing many speakers along the railings which blare out the sounds of huge jets flying. So considering you are next to the International airport, you might find yourself a bit confused when the sound of a jet comes through the speakers and sounds like its right next to you, but glancing around there are no flying planes! The outside exhibit has a variety of large planes. More planes continue to be added over time as older planes are restored at Paine Field Airport in Everett and then shipped down to the museum (which is about 35 miles north of here). Fortunately at the time of our latest visit there is still lots of parking lot space to add these. 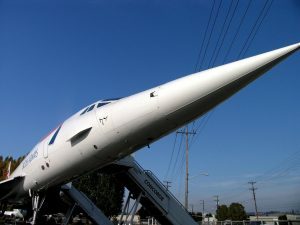 Highlights of the outdoor exhibit include a Concorde and an older Air Force One jet (both of which you can enter and take photography inside). We mention this because we’ve been in an Air Force One Jet before in which photography was strictly forbidden but not here. Another highlight is the huge 747 – this plane was the first ever 747 built by Boeing. With a wingspan of almost 200 feet, it presents quite a site, especially when you stand underneath it! Consider a several day trip to the Olympic Peninsula or to some of the Puget Sound Islands across from Seattle. Car ferry trips are available quite often especially in the summer. They leave from near Pike’s Market and also from Pier 52 along the Seattle harbor front. The closest ferry on your way to the Olympic Peninsula would be from Pier 52 to Bainbridge Island – total crossing time is about 35 minutes. Food is sold at Pier 52 near where the cars line up before driving onto the actual ferry. The Olympic Peninsula is a beautiful drive especially on a clear day. 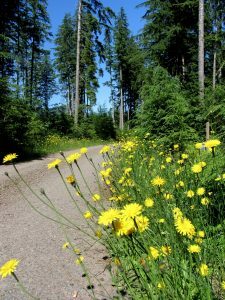 It is intensely forested and you probably won’t run into too many people – it is sort of like driving on parts of New Zealand’s south Island. If you plan on driving the 101 all the way around the Peninsula you should have at minimum 3-5 days – as there are many beautiful places to stop and hike including near Lake Crescent (a very picturesque lake west of Port Angeles on the 101), the Sol Duc Hot Springs and great hiking in the Hoh and Quinault Rain Forests. The Hoh is a good example of this area’s rain forests; several easy to hike trails are available as well as the longer (multi-day) spectacular hike up to glacier covered Mt. Olympus. Everything is so green and moss literally is dripping from the trees. The famous Pike Place Market is well worth a visit when you are in Seattle. Its centrally located just up from the waterfront and spans several blocks of shops. 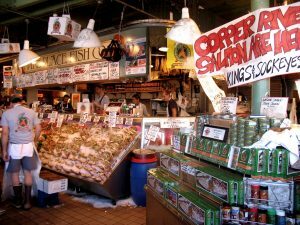 Pike Place Market is home to the famous Pike’s Fish Throw; someone orders some fish from the vendor and their employees yell out and then take the fish from the ice and throw them across the shop to someone else who catches them and then wraps them up for the customer. 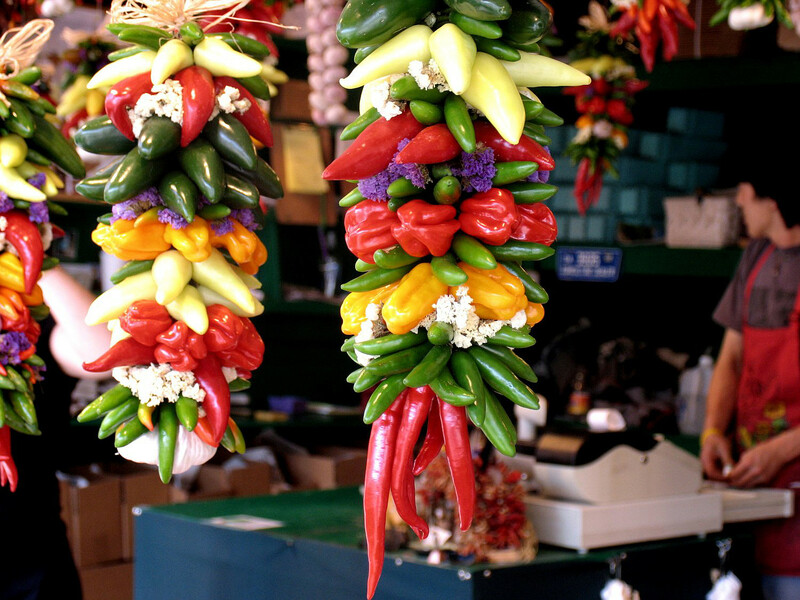 Lots of produce and fruit as well as specialty items are sold in this market. It is one of America’s premiere farmer’s markets and in the summer be sure to try the yellow red Rainier cherries. Pike Place Market is home to the world’s very first Starbucks Coffee Shop located at 1912 Pike Place (opened in 1971). This small coffee shop is almost always very crowded. Some tour buses drop off their passengers in the general vicinity and the lines can snake out the doorway. No bathrooms are available – you will have to use the main Pike Place Market restrooms. Often you will find local musical talents performing in front or nearby. A bronze plaque inside the store, next to a book of Starbucks history are the two highlights from inside. You can also buy some “first Starbucks” memorabilia. For outdoor lovers, visiting the flagship store of REI is one of the must highlights of Seattle. It is located at 222 Yale Ave North – a parking garage is available for free for REI shoppers. An attraction in and of itself, this store outranks all other REI stores in terms of size, on site attractions, and an unbelievable supply of outdoor equipment. This is REI’s flagship store and it really shows. Outside clocks show select times at certain mountains and locations around the world – fancy golden doors with the trademark ice axes grace the entrance, and a huge fireplace sits inside. In addition there is a 65 foot climbing wall, mountain bike test trail, and other gear testing stations. Also visit the “garage” downstairs which contains returned items available at discounted prices. Seattle Monorail is one of the first monorail systems in the USA. It services downtown Seattle to the Space Needle. This trip is extremely fast and is a great alternative to taking a car. 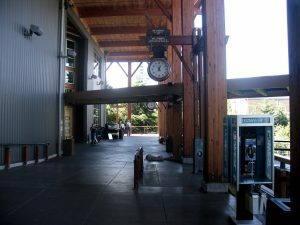 Visit: www.seattlemonorail.com for more information. 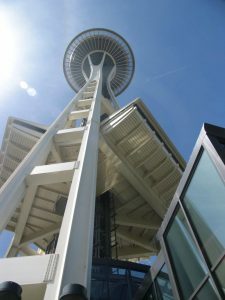 You can walk from the Needle to downtown – and any of the major downtown attractions (Pike’s Market, Underground tours, Aquarium, etc). 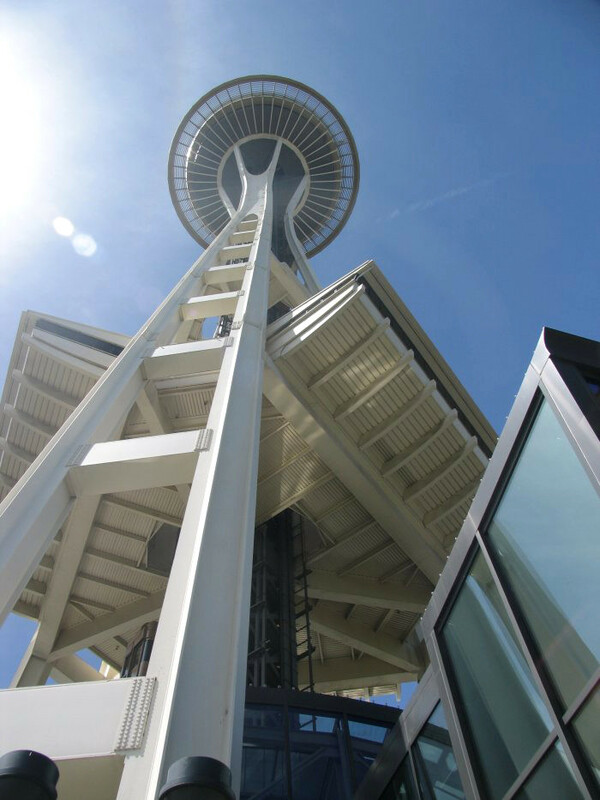 Expect to walk 20-30 minutes from the Space Needle to reach the heart of Seattle’s downtown.